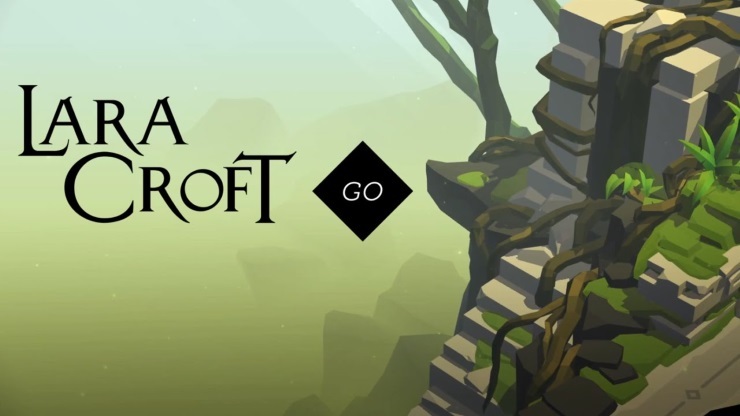 After loving Hitman GO last year, I was thrilled when Square Enix announced Lara Croft GO. Just like Hitman, Lara Croft’s adventure is a turn based puzzle game that captures the essence of the original Tomb Raider games and delivers it in a gorgeous package. Square Enix Montreal’s elegant art direction is evident from the get-go. The menu has been carefully designed as a throwback to past games, while a new and almost Monument Valley-esque art style is used for the rest of the game. GO is all about solving puzzles, avoiding obstacles, killing various enemies, and collecting relics, all while helping Lara traverse five worlds full of impeccably designed levels. The first world introduces you to the movement style and puzzle mechanics. There are gems and parts of a relic strewn across the various levels and you are rewarded for collecting all of them with additional Outfits. Swiping to move and tapping to interact with things are all you really need to learn. As you progress deeper into Lara Croft GO, levels get more complicated and have more than one puzzle, some with as many as four different puzzle sections. Each of these are big enough to count as a separate level in any other game. Thankfully, the checkpoint system is very forgiving. The last few levels will really test your mental strength with mechanics from all the previous levels combined into single puzzle sections. The learning curve is very smooth and the introductions to new mechanics are timed perfectly in an otherwise tense game. There’s a fair bit of replay value as you will come back to collect gems and relics to unlock Outfits, but there’s no three star rating system here. Speaking of unlocking Outfits there is an in-app purchase of around $2 that will unlock the Square Enix Universe Outfit pack with outfits from Just Cause, Deus Ex, and Hitman for Lara. The only other in-game purchase you can make is an unlock for all puzzle solutions. One of the big draws of Hitman GO was the art. It has a unique tabletop look and played out brilliantly. Lara Croft GO shows off its visual craftsmanship with stunning animations, great iconography, and an overall consistently pleasing style. I loved the little animations the developers put in. At random moments, for example, Lara will do an elegant handstand while climbing a wall. Even the loading screens for each level are intelligently designed to showcase a dotted map being completed as the level is loading. Atmospheric music carries you throughout the mazes and never for once distracts you while you wonder which direction to push a pillar or which lever to pull. In fact, the music and audio complement the art perfectly. 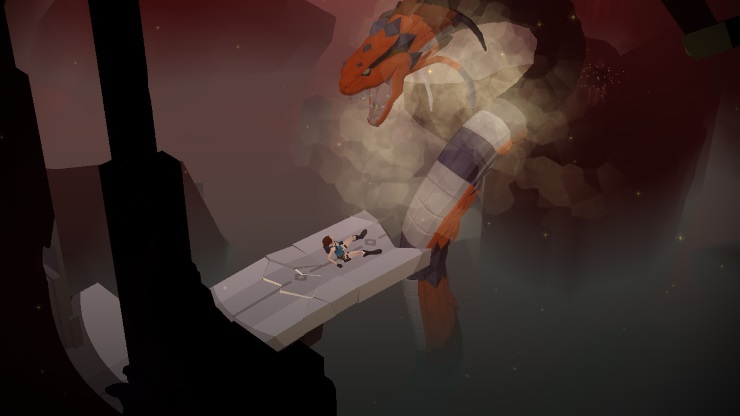 Lara Croft GO takes our plucky Tomb Raider in a new and beautiful direction that only Square Enix Montreal could have accomplished. After Hitman GO and this, I can’t wait to see which franchise they take on next. This is an absolute gem of a game that anyone with an iOS or Android device needs to play. Load times are too long upon death. 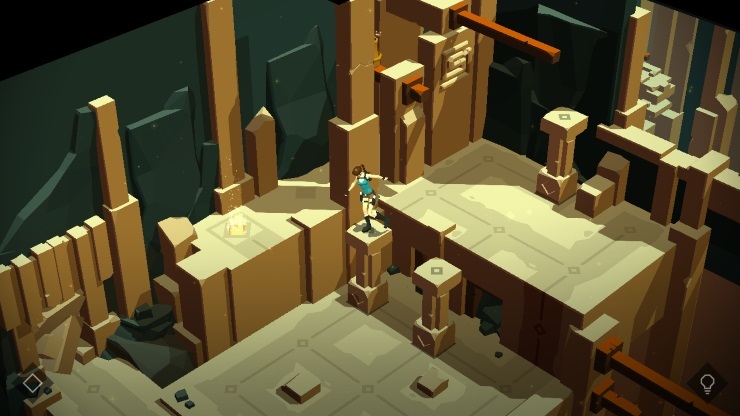 Lara Croft GO is one of the best puzzle games available today, and a perfect reimagining of Tomb Raider in a stylish package.